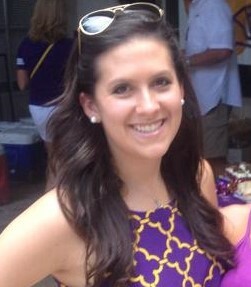 Lindsay Chustz Guerin (Gamma Zeta, 2003) was born and raised in Baton Rouge. She is a graduate of LSU and obtained her degree in Elementary Education. 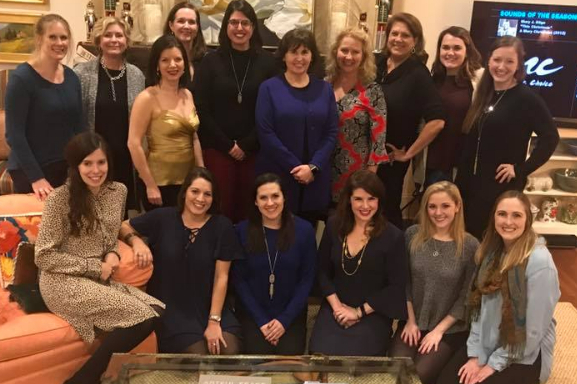 She taught 3rd grade before joining the Lee Michaels Fine Jewelry team in 2008 as the Director of Corporate Gifts and Special Events. 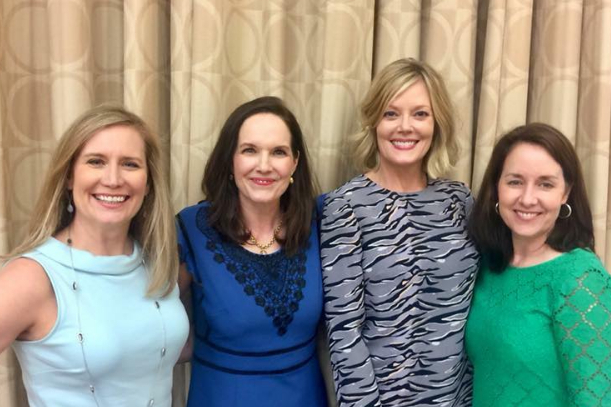 She enjoys shopping, reading, cooking, and enjoying time with her husband and former Anchor Man, Eric, and their "fur-baby", Brooks. 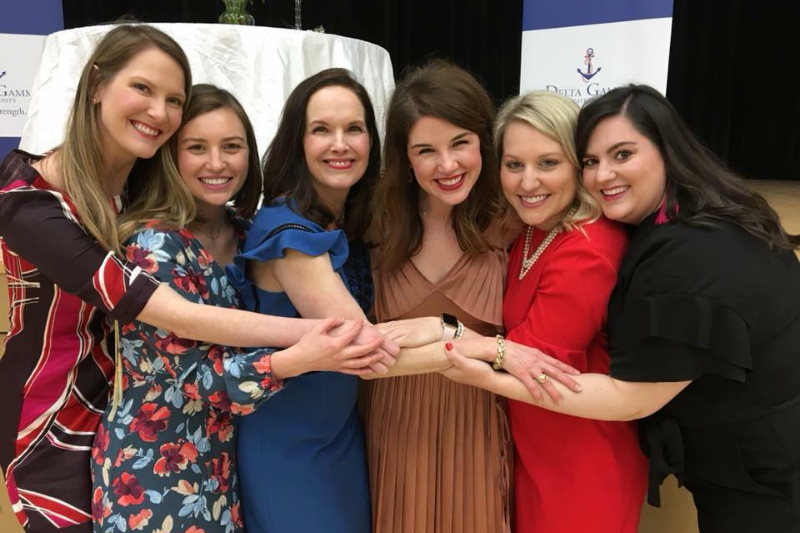 Lindsay is a member of the Junior League of Baton Rouge, Rotaract Professionals of Baton Rouge, Delta Gamma New Member Advisor, and serves on Mary Bird Perkins The Taste Committee. Molly Csaki (Gamma Zeta, 2008) is from Slidell, Louisiana. She graduated from LSU in 2012 with a B.A. in political science, and will graduate from LSU Law Center in May 2015. Molly is eager to make Baton Rouge her home after graduation! She enjoys eating, cooking, reading, spending time with her family, and everything Delta Gamma. Geaux Tigers! 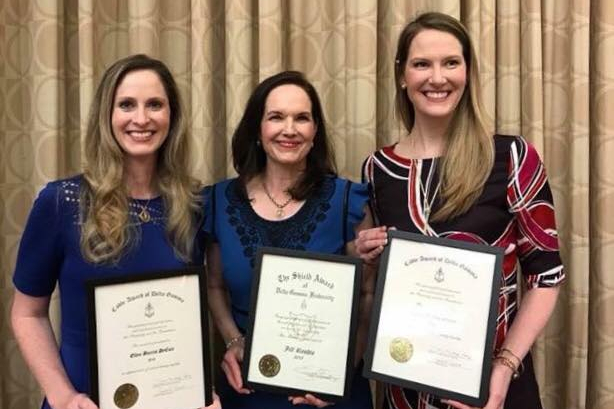 Elaine Vidrine Duke (Gamma Zeta, 2010) was born and raised in Baton Rouge as an anchor legacy. She is a graduate of LSU and obtained her degree in Mass Communication, with a concentration in Public Relations and a minor in Leadership Development. Elaine currently works at LSU in Enrollment Management as the Baton Rouge Private Admissions Counselor. This fall, she will be starting graduate school to pursue Higher Education. In her free time, she loves baking, traveling and watching Netflix shows. Just like her mom, Elaine wanted to get involved in the alum life as soon as she could! 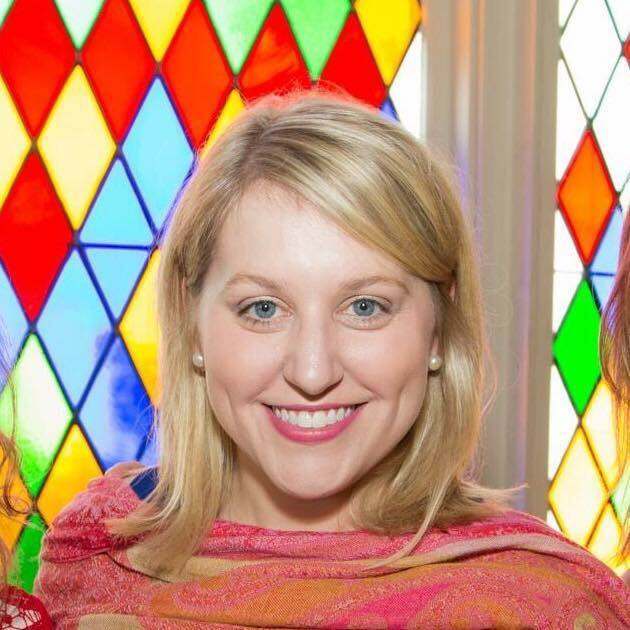 Melissa Thompson (Gamma Zeta, 2002) grew up in Searcy, Arkansas. She earned her BA in Communication Studies from LSU in 2006 and her MA in Communication Theory in 2008 and her PhD in Communication in 2014, both from the University of Memphis. She currently works as the Director of Talent Development at the Baton Rouge Area Chamber. She also serves as an organizer and speaker coach of TEDxLSU, a local TED event that promotes effectively sharing "ideas worth spreading." 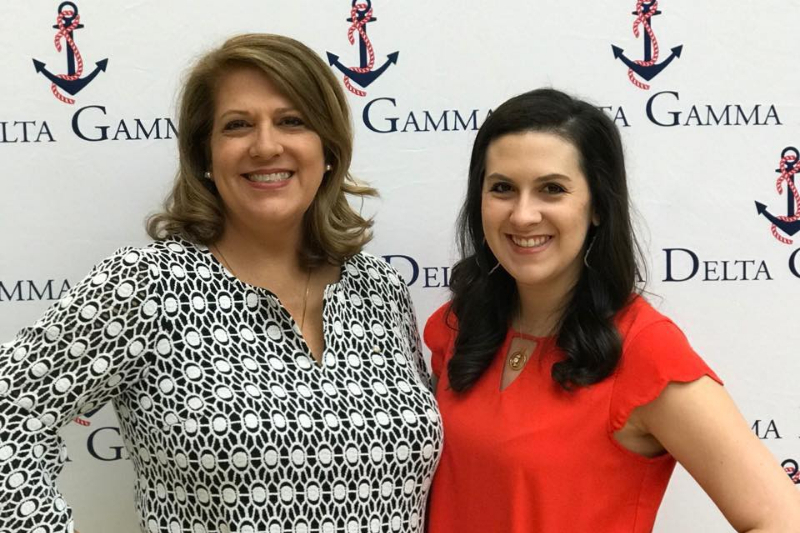 Melissa is a member of the Junior League of Baton Rouge and serves as a Regional Alumnae Specialist for Region 3 of Delta Gamma. 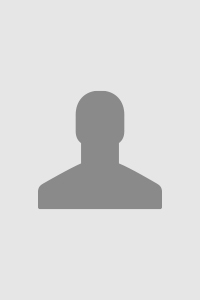 In her free time, she enjoys cycling, attending LSU sporting events, and spending weekends at Lake Bruin.